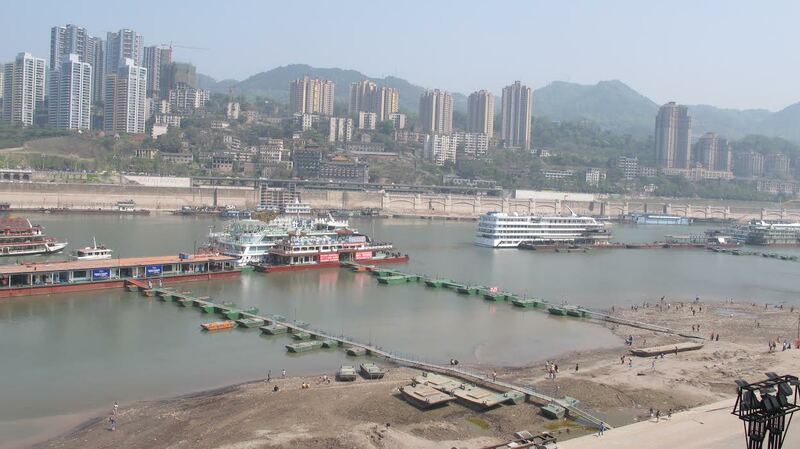 These images accompany the study by Fan Xiao: Astonishing Changes in the Life and Environment of Chongqing: 20 Years After the Construction of the Three Gorges Dam. 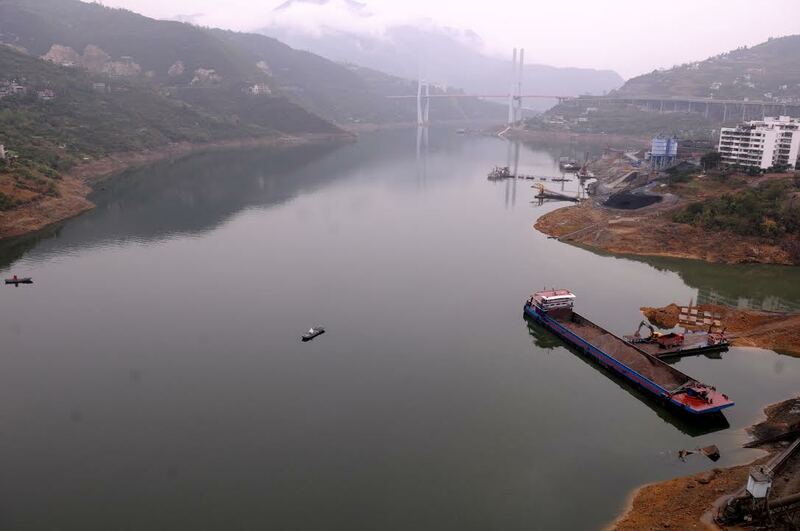 The port city of Chongqing, one of the largest industrial and commercial centres in the southwest of China, located at the upper end of the dam’s reservoir in the Yangtze, has experienced some of the most profound changes in the region the dam upended to secure its creation. An introduction to Fan Xiao’s study is available here. 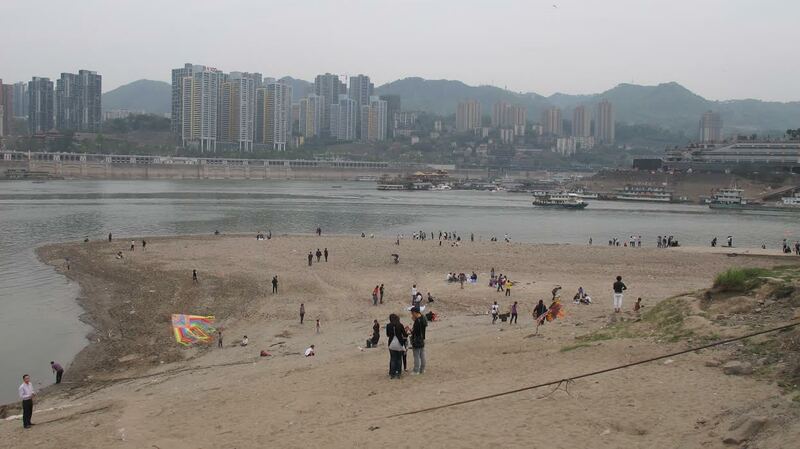 Large areas of thick sand mudflats appeared in the Jiangbeizui region on the north bank of the Yangtze River, by Fan Xiao, April 2012. 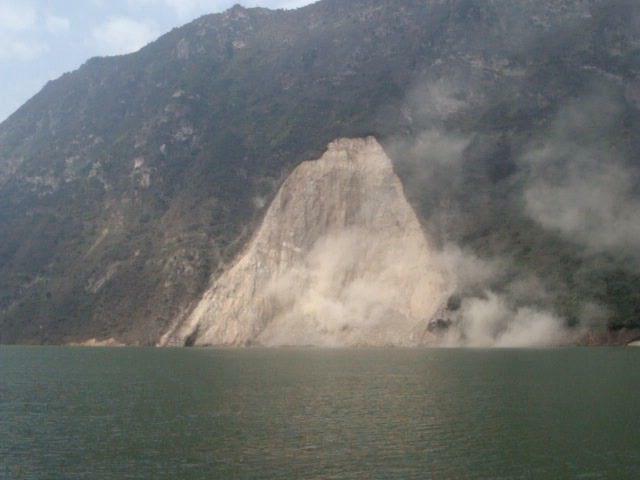 A massive dam created by gravel carried by the river flow in the Jiangbeizui region in the confluence of the Jialing River and Yangtze River, by Fan Xiao, March 2013. 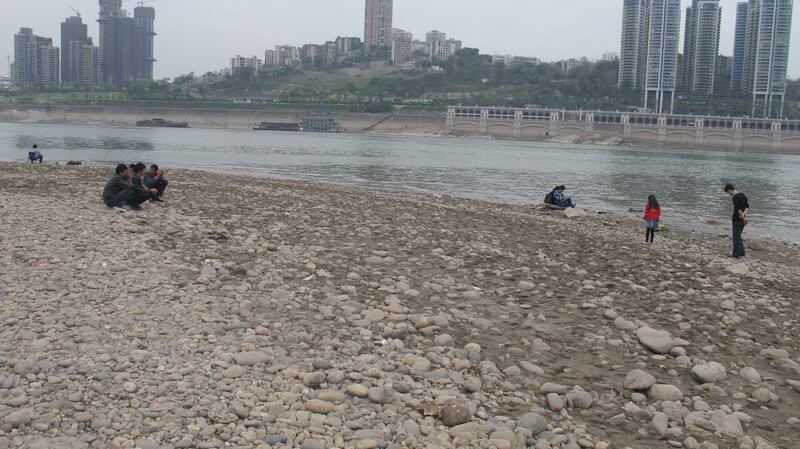 Gravel dominates the mudflats in the confluence of the Jialing and Yangtze rivers, by Fan Xiao, March 2013. 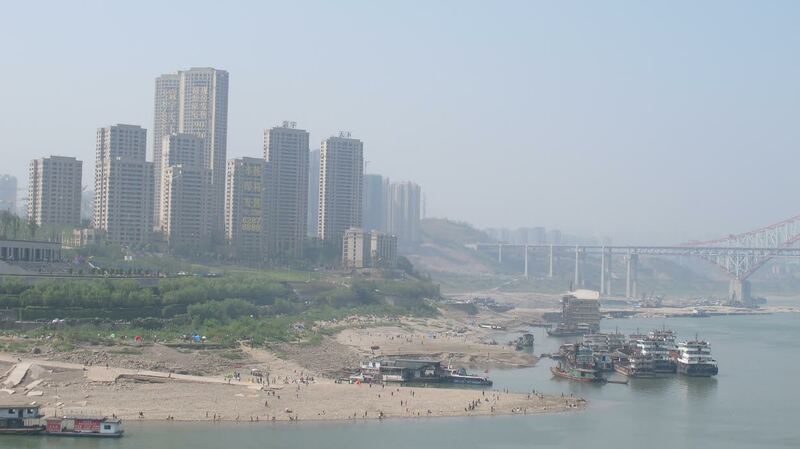 Half of the road that originally led to a cement riverside pier is now buried under sand dams, by Fan Xiao, March 2013. 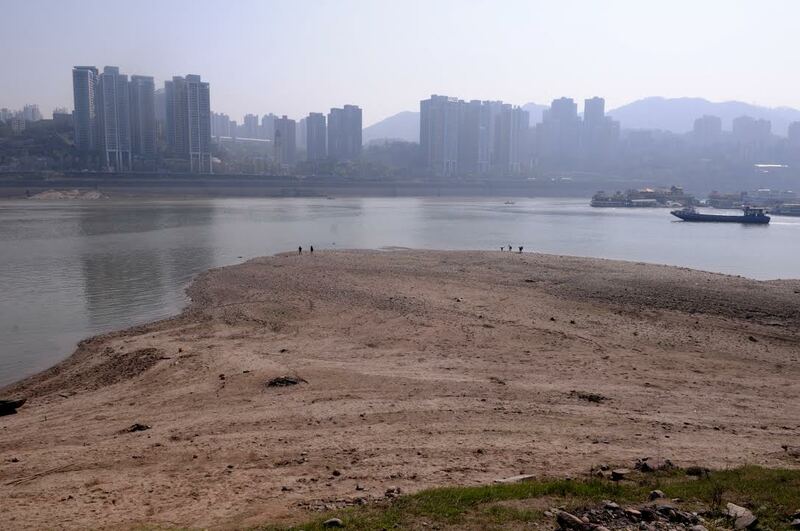 A look at the foreshore sediment along the north bank of the Yangtze (the other side is Chaotianmen Port district), by Fan Xiao, March 2013. 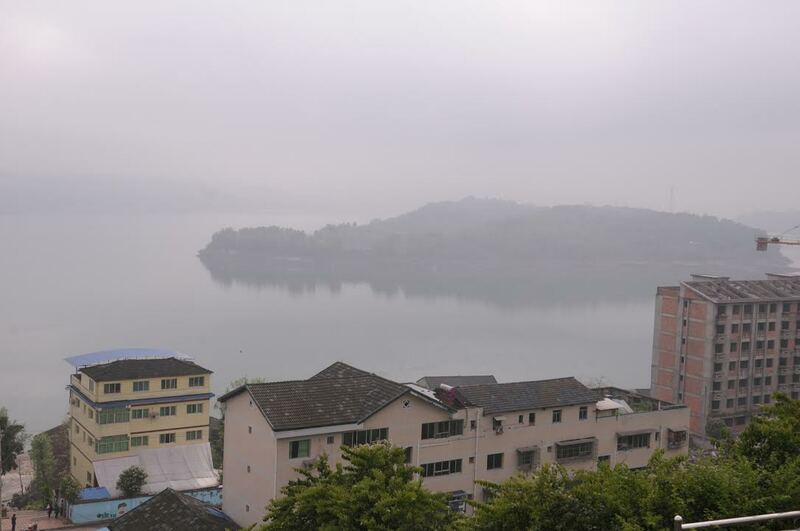 A view of Huanghua Island and Lanniwan area from Shunxichang Town in Zhongxian County, by Fan Xiao, March 2012.
seat of Zhongxian (the capital of Zhongxian County), which divides the Yangtze River in two (from Google Earth, on April 10, 2013). 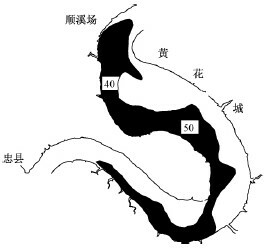 Sediment deposition in Lanniwan (shown as the dark area) and sediment thickness (the figures shown in meters). (Cited from Hu Jiang, et al., 2013). 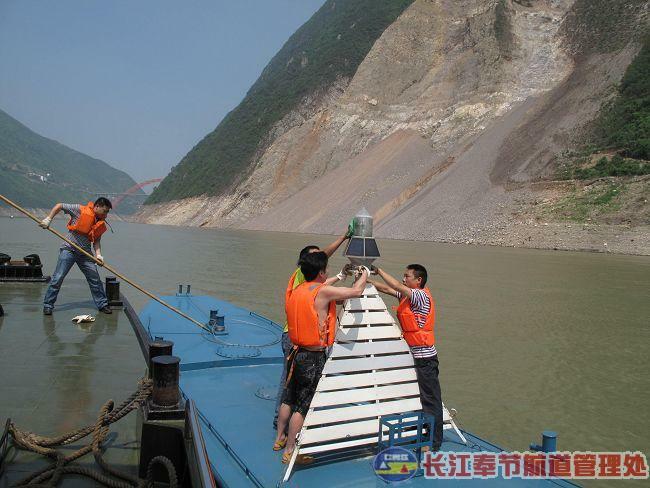 A landslide that occurred near Gongjiafang Village in Wu Gorge of the Three Gorges, about 4,000 meters downstream of Wushan Port. (Photo from the Internet). in Wu Gorge. (Photo from the Internet). 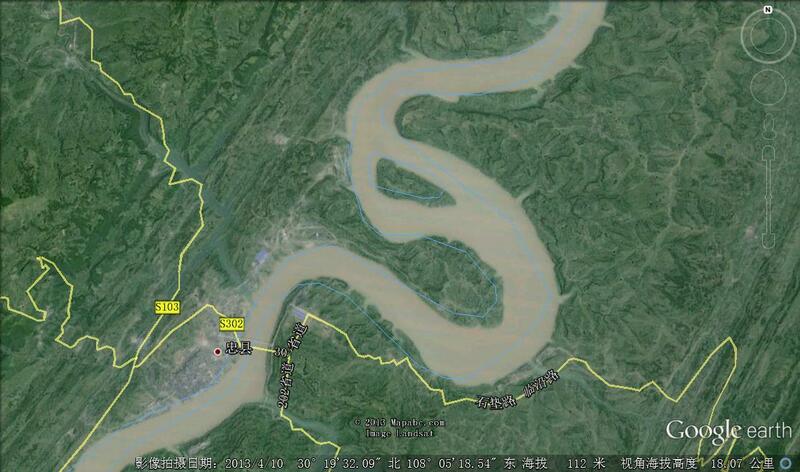 The reservoir bay where the Daning River joins the Yangtze River, by Fan Xiao, March 2012. 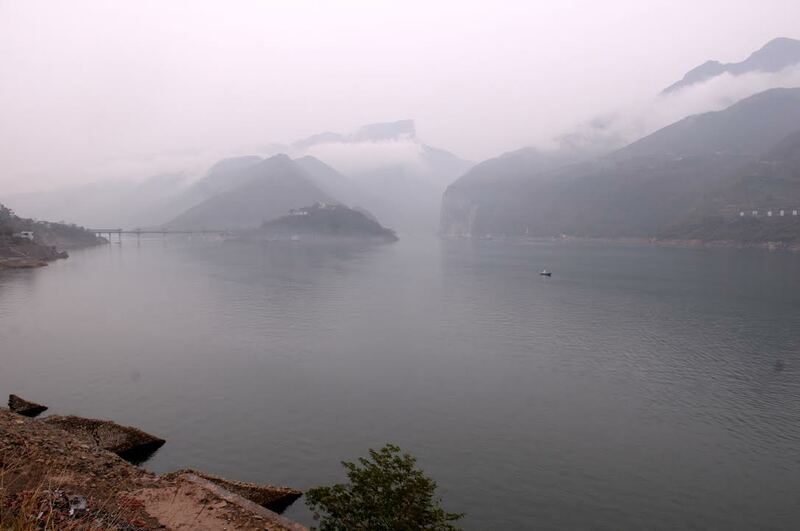 The reservoir bay between Longmen Gorge and Bawu Gorge in the Lesser Three Gorges on the Daning River, by Fan Xiao, March 2012. 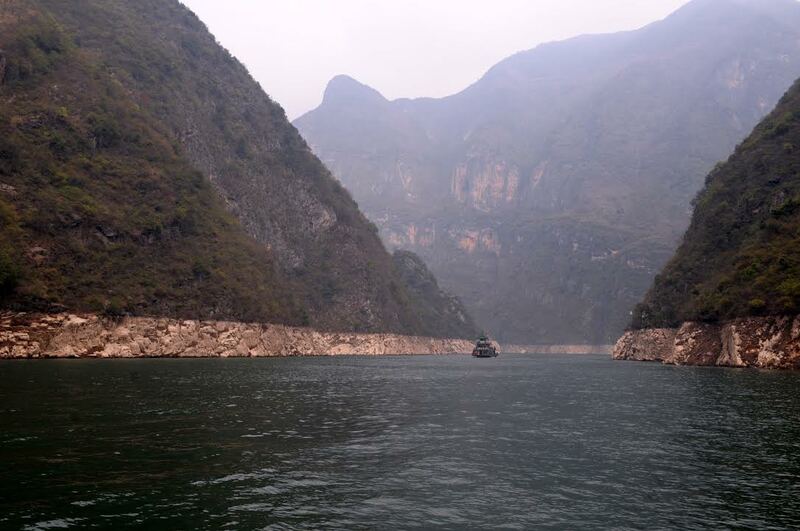 The reservoir area’s drawdown zone in the Bawu Gorge in the Lesser Three Gorges on the Daning River, by Fan Xiao, March 2012. 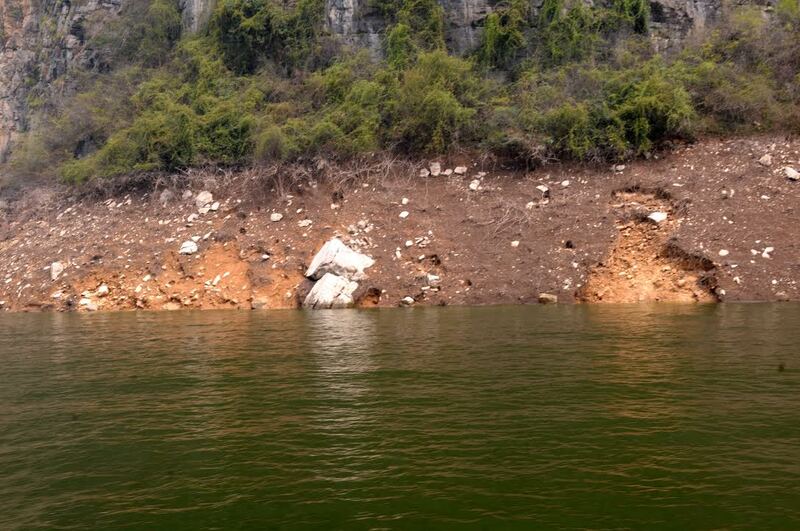 The reservoir area’s drawdown zone and bank caving in the Longmen Gorge in the Lesser Three Gorges on the Daning River, by Fan Xiao, March 2012. 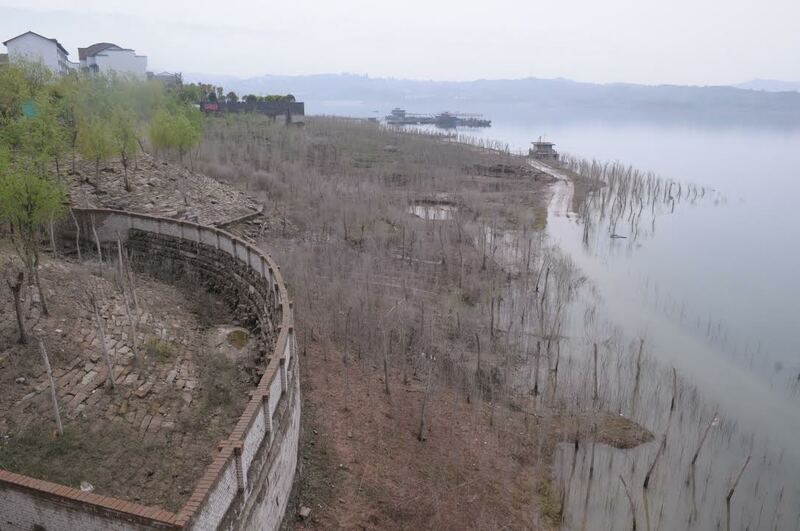 The reservoir area’s drawdown zone in Shibaozhai in Zhongxian County, one of the well-known attractions in the Three Gorges reservoir area, where many of the trees along the riverbank died after the reservoir water level dropped, by Fan Xiao, March 2012. 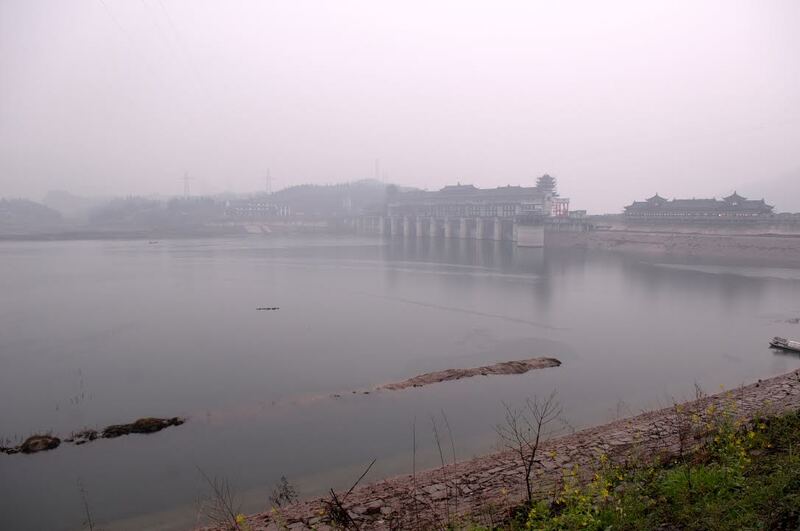 The reservoir area’s drawdown zone in Shibaozhai in Zhongxian County, by Fan Xiao, March 2012. 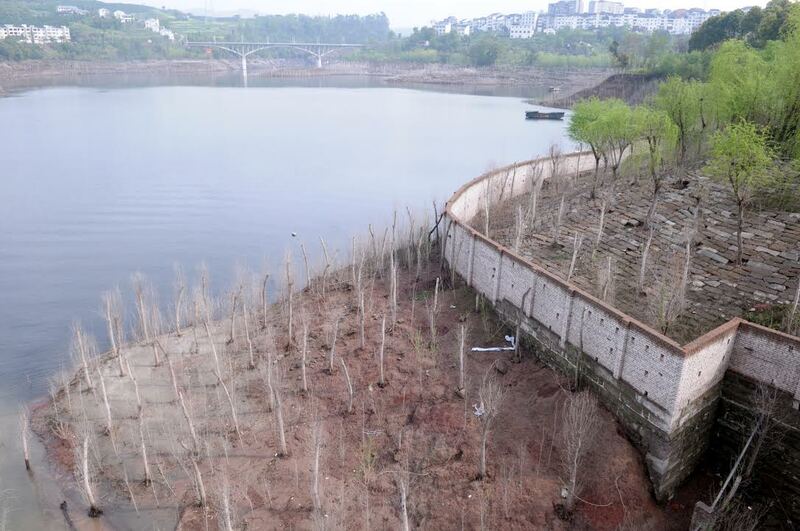 The trial project to recover vegetation along the reservoir’s drawdown zone in the Jiangbeizui area in urban Chongqing, by Fan Xiao, April 2012. 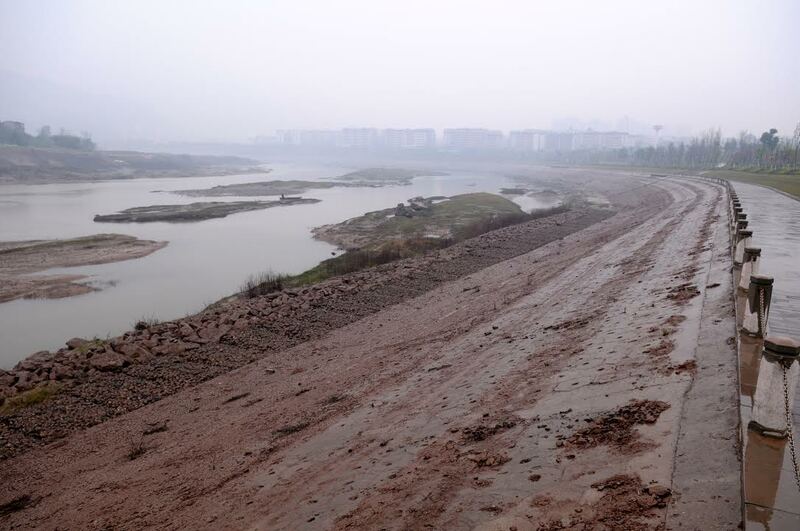 The reservoir area’s drawdown zone along the shore of the Pengxi River in Kaixian County, by Fan Xiao, March 2012. 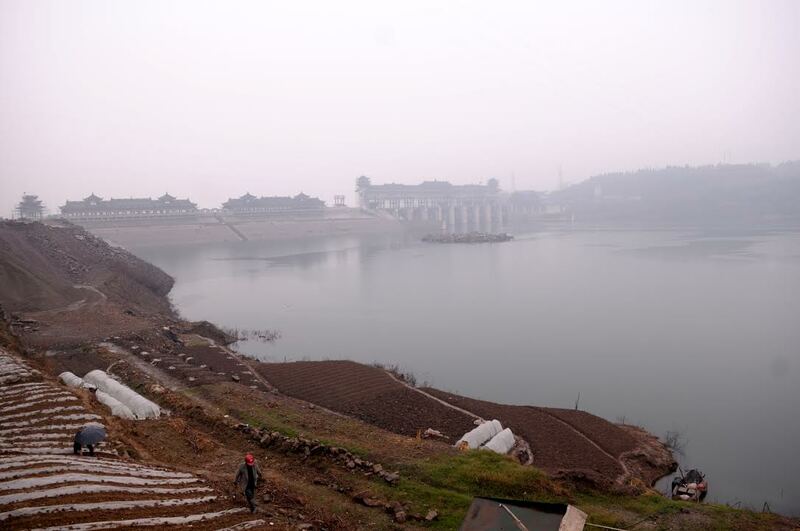 A water-level regulatory dam on the Pengxi River in Kaixian County, by Fan Xiao, March 2012. 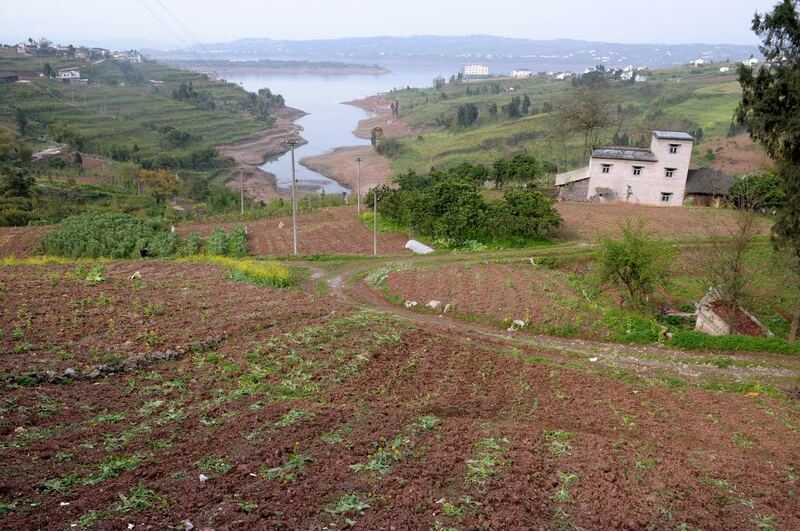 Villagers began growing vegetables after the reservoir water level receded near the water-level regulatory dam on the Pengxi River in Kaixian County, by Fan Xiao, March 2012. 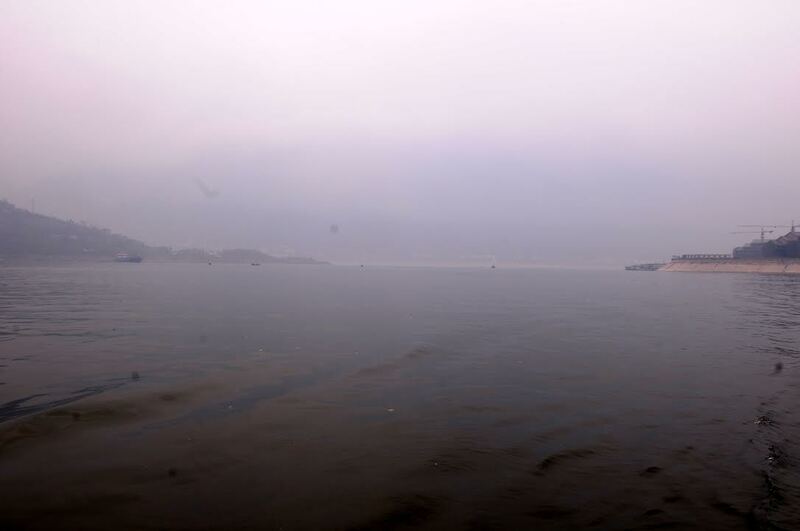 Dark green water in the river mouth of Meixi River (a tributary of the Yangtze) in Fengjie County, by Fan Xiao, March 2012. 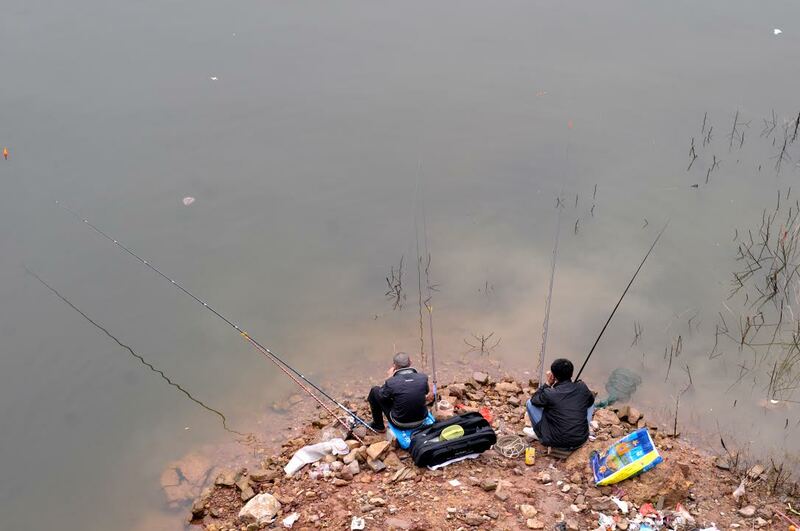 Local fishing enthusiasts are still fishing in Wushan Port (where the Daning River joins the Yangtze) despite seriously polluted water, by Fan Xiao, March 2012. 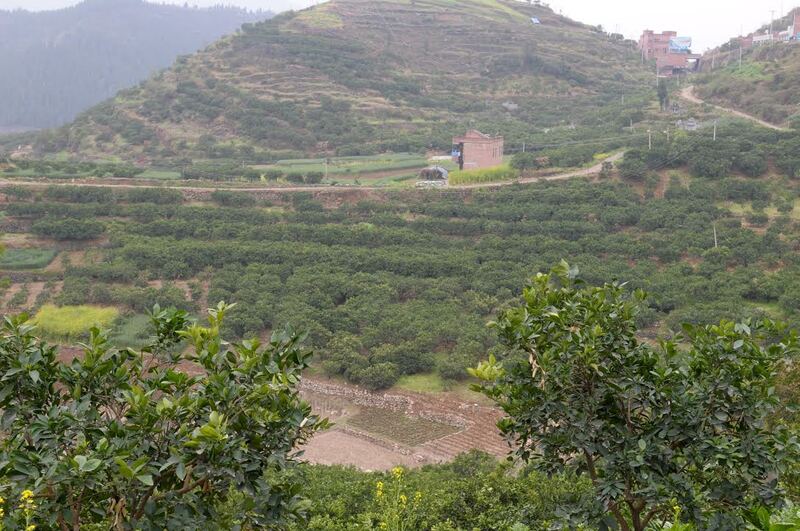 A navel orange orchard on the riverbanks of the Caotang River in Fengjie County, one of the region’s well-known native products, by Fan Xiao, March 2012. 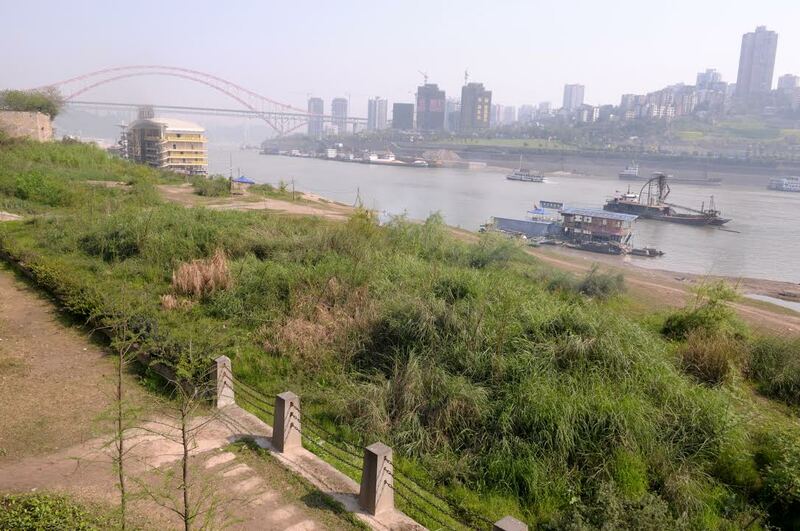 Mustard growing on the slopes along the Yangtze in Baisheng Town in Fuling City, by Fan Xiao, March 2012. 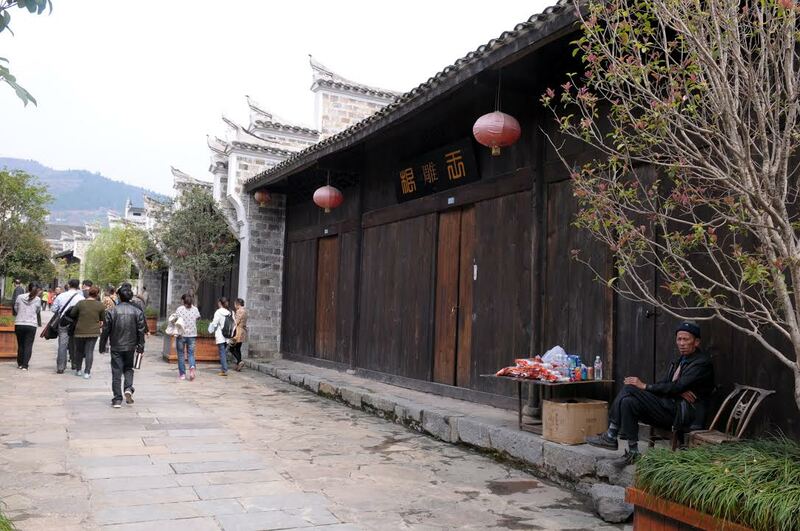 The “Old Town” in the new town of Dachang, which was built atop a hill some 10 km downstream of the real Dachang, a 1,700-year-old site and one of China’s best-preserved ancient towns, which was flooded for the Three Gorges reservoir, by Fan Xiao, March 2012. 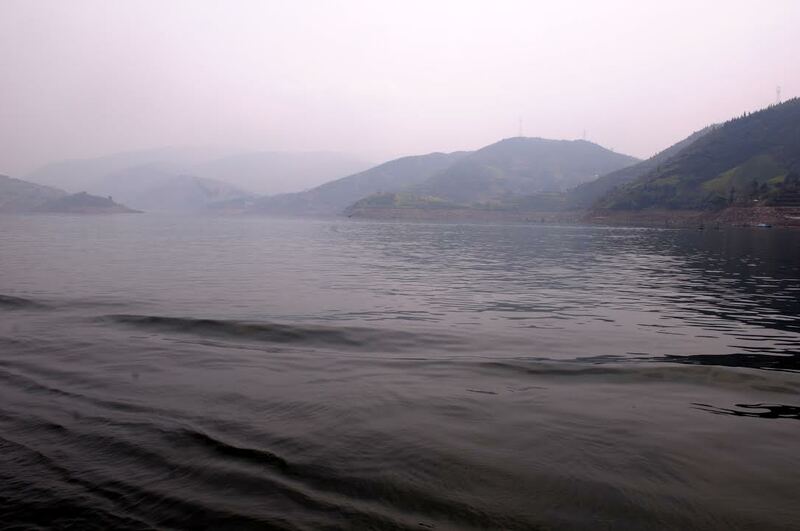 The reservoir bay near the Kuimen in the Qutang Gorge (in Fengjie County), one of the most famous attractions in the reservoir area, by Fan Xiao, March 2012.